On every continent are examples of isolated stone mountains that are not easy to explain from a conventional standpoint. Could they be the remnants of prodigious electric arcs? In our recent Thunderbolts Picture of the Day about Australia's Big Three, we described Mount Augustus in Australia, a sandstone monolith that could be the largest example of these singular formations. Mount Augustus, or Burringurrah to the local Wadjari people, is an asymmetric anticline whose composition differs markedly from the underlying rock strata. Ben Bulben is an example of another isolated monolith, or tor, that can be found on every continent. They all share very similar morphology, although they are composed of different minerals. Mount Augustus, for instance, is made up of rocks and pebbles of various sizes cemented together by exceptionally hard sandstone. In other areas of Australia, such as Bald Rock, the great blocks of stone are actually granite that is also resting on top of dissimilar minerals. The geology of Ben Bulben is quite different, however. It is composed of Darty limestone (which makes up the Darty mountains) and shale, overlying Glencar limestone. Ben Bulben is the headland of the Darty mountains, sloping gradually upward until the flat-topped mesa and steep, regularly carved cliff face stop at the edge of the ocean. 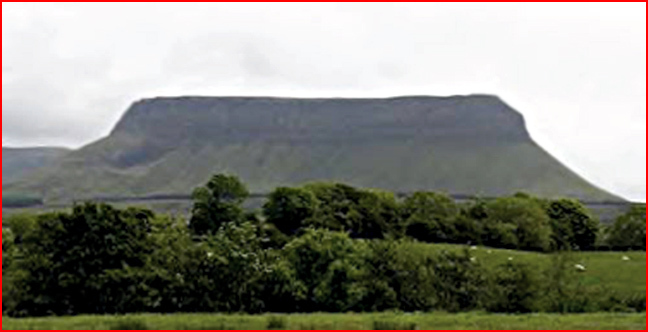 The change from Ben Bulben shale to Glencar limestone in the monolith is dramatic - the boundary layer is paper-thin. In other areas of the world, such as Peña de Bernal in Mexico or the Rock of Gibraltar in Europe, the single stones appear to be metamorphic, indicating a powerful energy source that drew the material in the mountains together as well as melted and reformed their mineralogical composition. 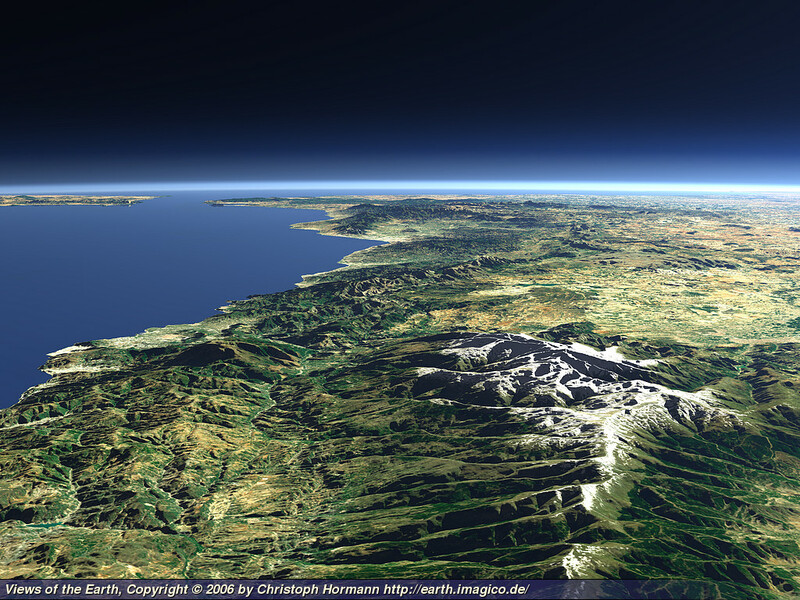 The Rock of Gibraltar is composed of metamorphosed limestone and chalk. 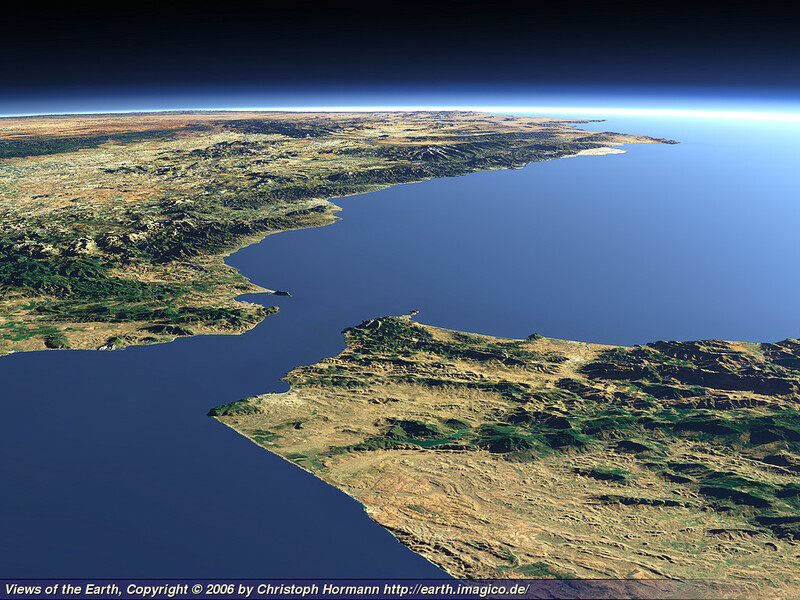 The Strait of Gibraltar itself demonstrates some remarkable topography and could mark an area where Earth-grazing electric arcs touched-down and sculpted the region. Several other smaller monoliths can be found in Europe: the Logan Stone on top of Black Tor in Dartmoor and the King Arthur Stone in Cornwall are two of the most famous. At the summit of Mam Tor is another example of oddly piled stones and columnar formations. In other spots around the world can be found very large monoliths that are unlike the surrounding geography or geological formations. In Africa, we have written that the Brandberg Massif could be a gigantic fulgamite that was molded and upraised by electrical forces beyond imagination. Other examples are Aso Rock in Nigeria and Ben Amera in Mauritania. Both are lone monoliths that appear to have been pulled up and out of the surrounding countryside. 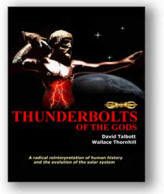 In future Thunderbolts Picture of the Day articles, we will look at more of the unusual geography of Earth and how it relates to the theory of the Electric Universe. North America possesses quite a few large, rounded and isolated rock formations that bear closer examination: El Capitan in California, Devil's Tower in Wyoming and Stone Mountain, Georgia are three examples of the strange terrain that we will investigate. Written by Stephen Smith from an idea submitted by William Curry.